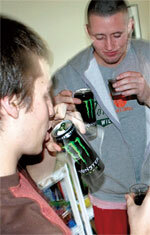 In January, about 300 people in the US suffered health problems from excessive consumption of energy drinks like Red Bull and Monster; most of them were children and teenagers, as per the American Association of Poison Control Centers. The association has recently started tracking the toxicity of energy drinks that constitute the fastest growing market in the US. Canada, Australia and several European and Latin American countries have also acted against the caffeinated drinks following reports of deaths and seizures. Is India paying attention? The energy drinks market in the country is worth Rs 200 crore and is growing unregulated. Red Bull leads the market, followed by Coca Cola’s Burn and Gold win Healthcare’s Cloud 9. In June last year, the Food Safety and Standards Authority of India prepared draft standards for energy drinks and invited public suggestions. But its efforts have not moved beyond the invites. As of now, energy drinks are labelled as proprietary food that has no prescribed standards. Unlike carbonated drinks in which caffeine is capped at 145 mg/litre, a can of energy drink has 320 mg/litre caffeine or more. “Caffeine acts as a stimulant,” said Anoop Misra, chairperson of the National Diabetes, Obesity and Cholesterol Foundation. “But excess of it may induce agitation, anxiety, irritability, insomnia and cause irregular heart function.” Several recent studies corroborate Misra’s concern. High levels of caffeine in energy drinks sometimes have life threatening effects on blood pressure, heart and brain functions, said health scientists at University of Texas, USA, and University of Queensland, Australia. Writing in the Mayo Clinic Proceedings in November, they warned patients with hypertension should not consume these drinks. In another study published in Pediatrics on February 15, scientists said energy drinks may be unsafe for children especially those with diabetes, seizures, heart abnormalities and behaviour disorders. Until we know more about the effects of energy drinks, children and teenagers should be discouraged from drinking them on a routine basis, said Steven Lipshultz of the Miller School of Medicine in USA and senior author of the paper. Such beverages also contain Vitamin B and stimulants like taurine, glucuronalactone and guarana to create the energy blend. There is not enough study to show the impact of caffeine on them, he said, calling for more research. Amelia Arria, professor at School of Public Health at the Maryland university in the US cautions against mixing energy drinks with alcohol. It can have harmful effects especially on expecting mothers, said Arria. Her study on the risks of energy drinks was published online in the Journal of the American Medical Association in January. In November last year, the US Food and Drug Administration announced that caffeine is an unsafe additive to alcoholic beverages, prohibiting the sale of pre-mixed alcoholic energy drinks. Companies have purposely placed energy drinks in proximity to sports drinks to confuse the consumer, said John Higgins, professor of medicine at the Texas university. “This ploy needs to be stopped as we have young children buying them,” said Higgins, also an exercise specialist. Sports drinks like Powerade and Gatorade are meant to replace the electrolyte and carbohydrate lost during exercise. But energy drinks increase the carbohydrate level in the blood beyond the recommended limit and affect renal function, he added.